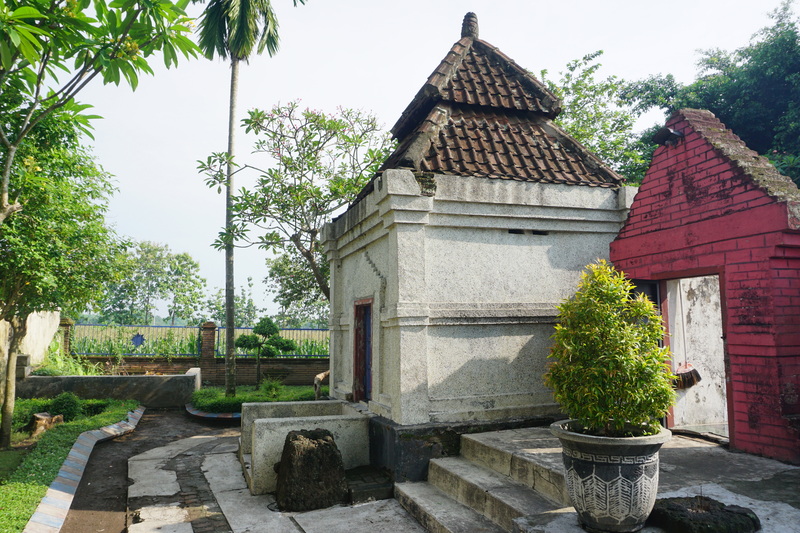 high-definition creative commons photographs from of tombs in Trowulan (Wilwatikta), the capital of Majapahit together with further information. 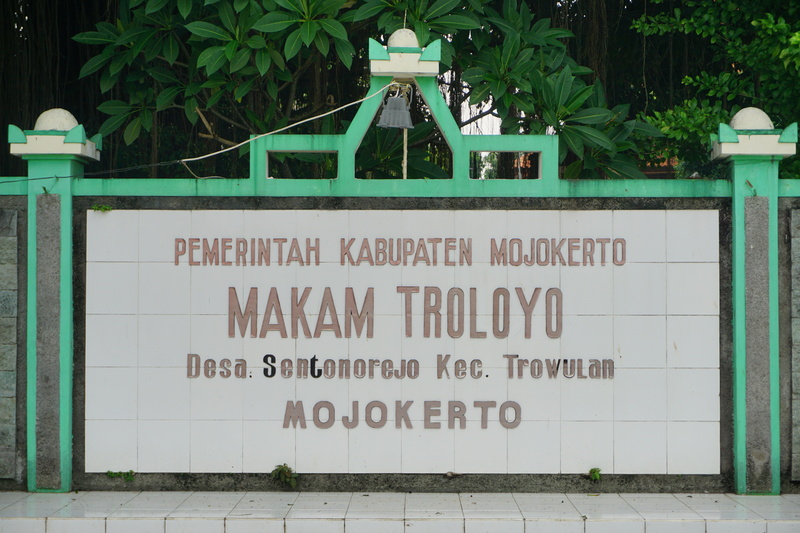 The area now known as Trowulan is the site of the capital of the Majapahit Kingdom (13th-15th centuries), at which time it was known as Wilwatikta. 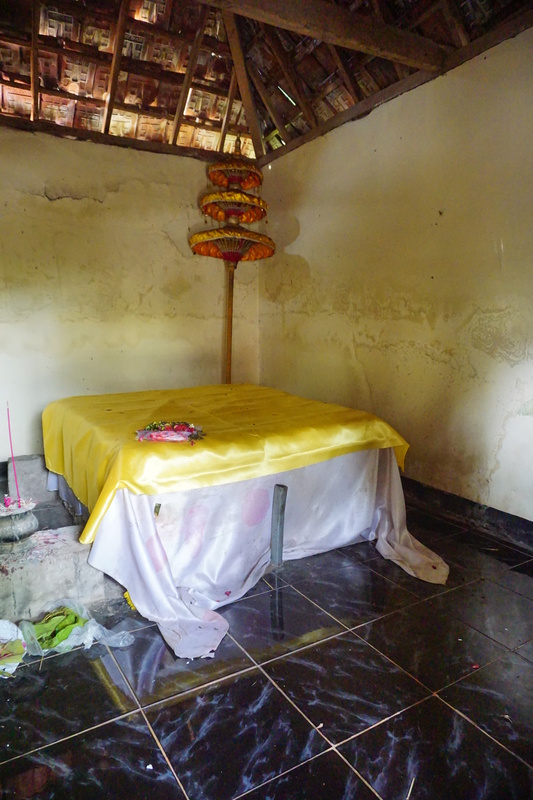 The area contains many candis, archeological sites, and a museum, all of which are represented in a separate album. 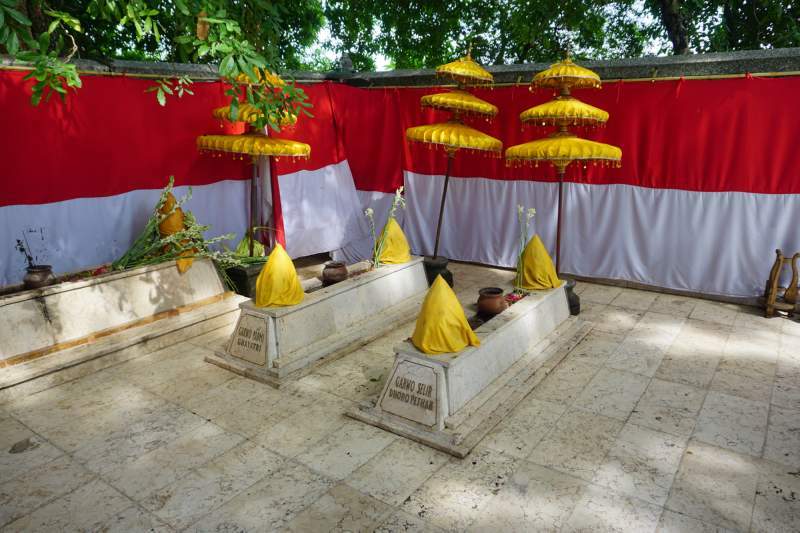 Here we have some of the many famous tombs and memorial sites from the ancient city. 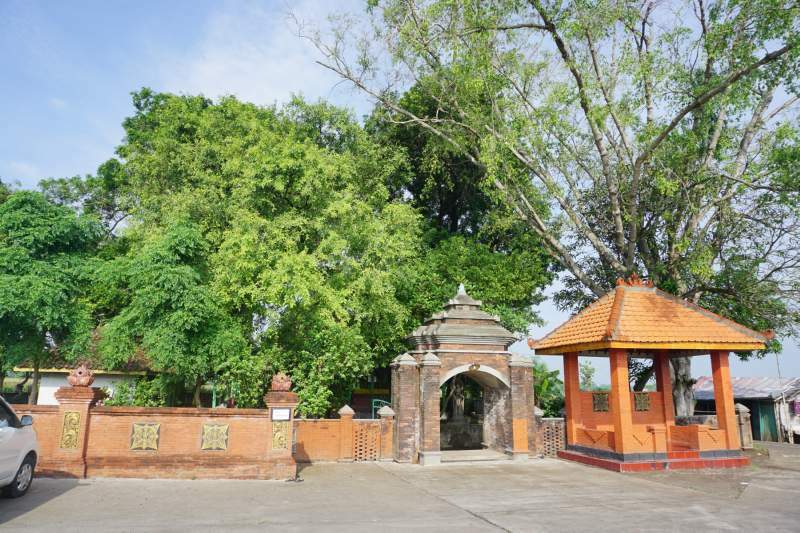 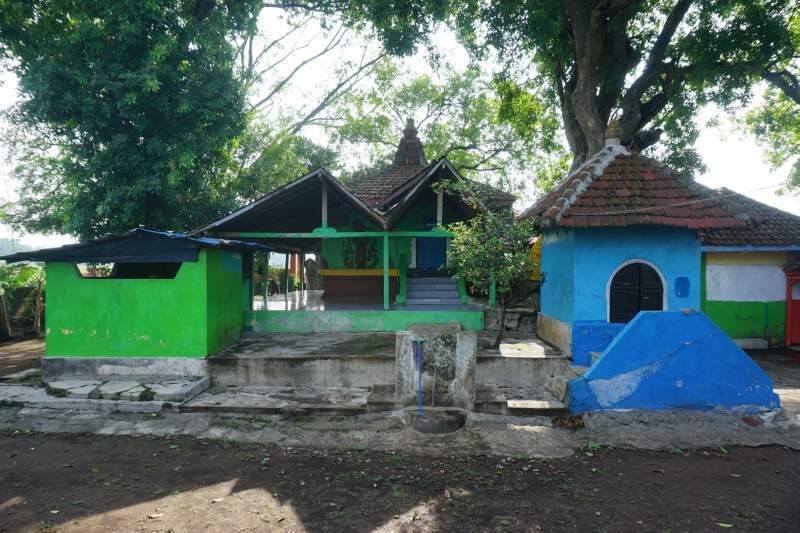 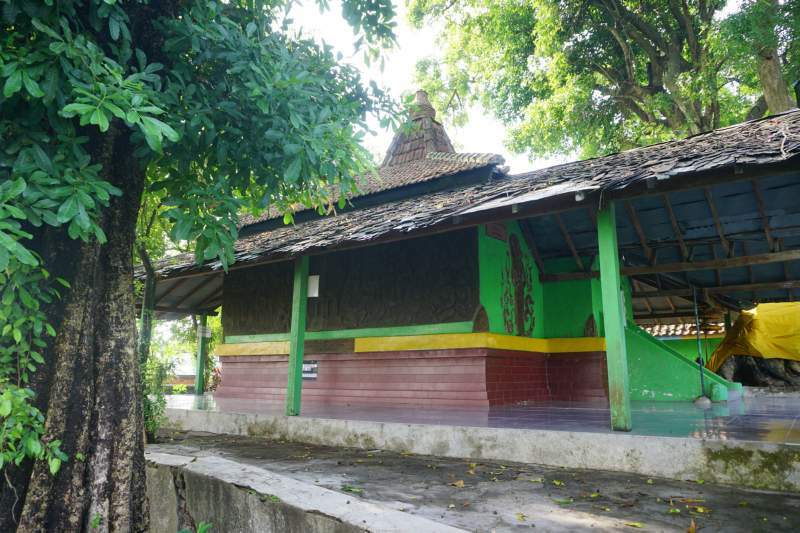 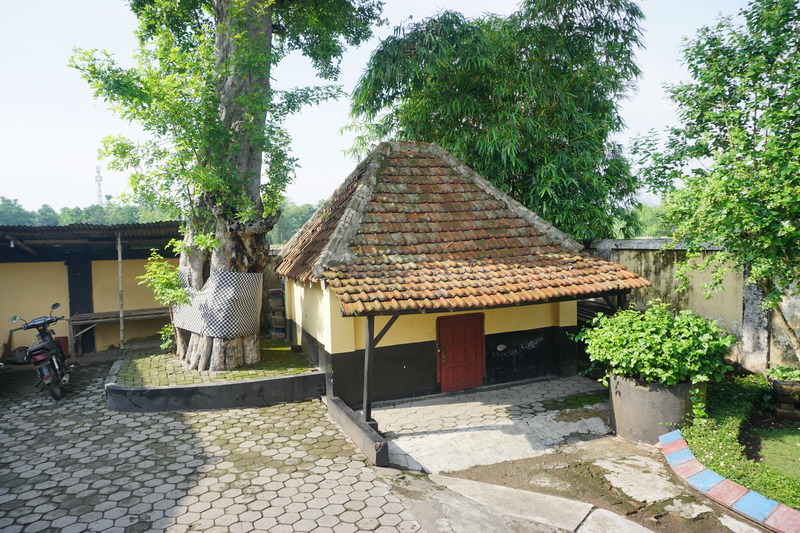 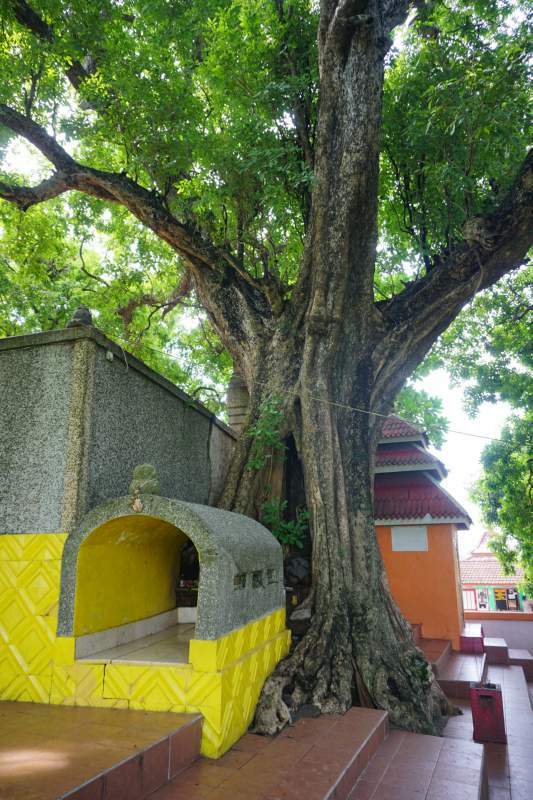 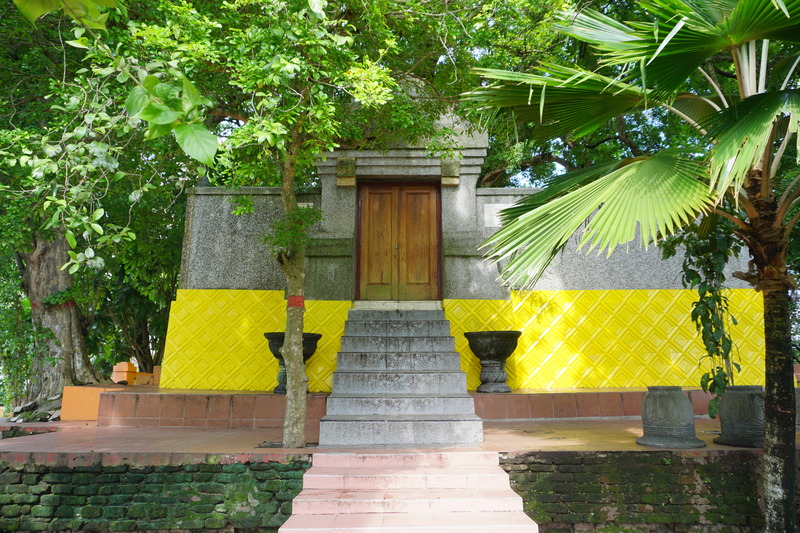 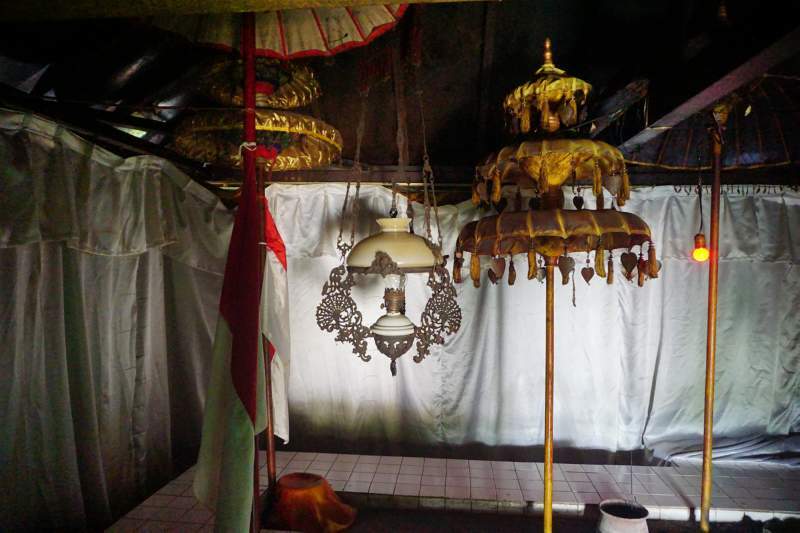 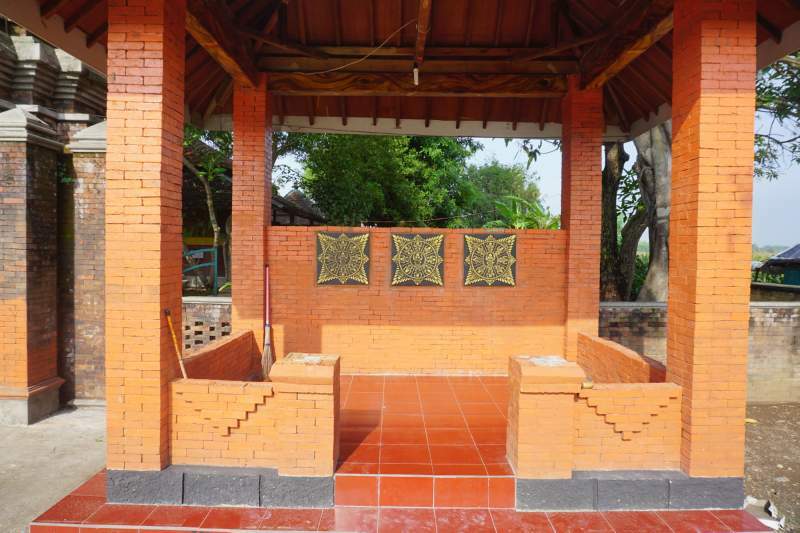 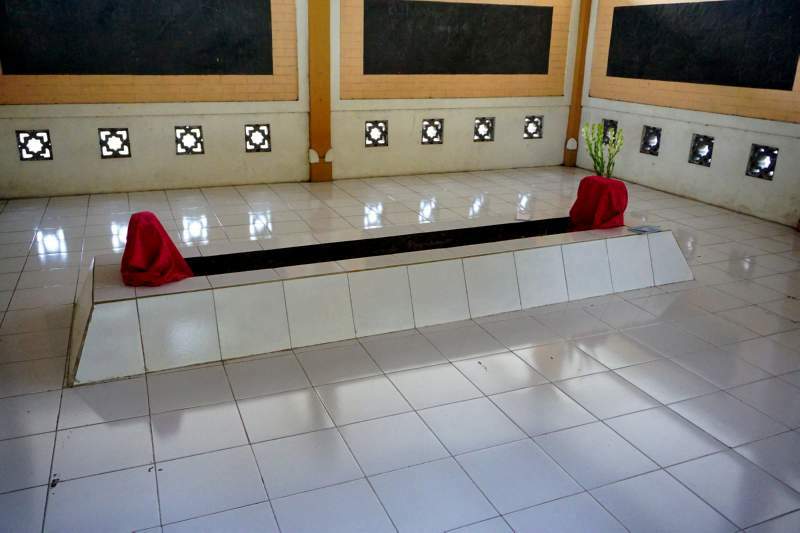 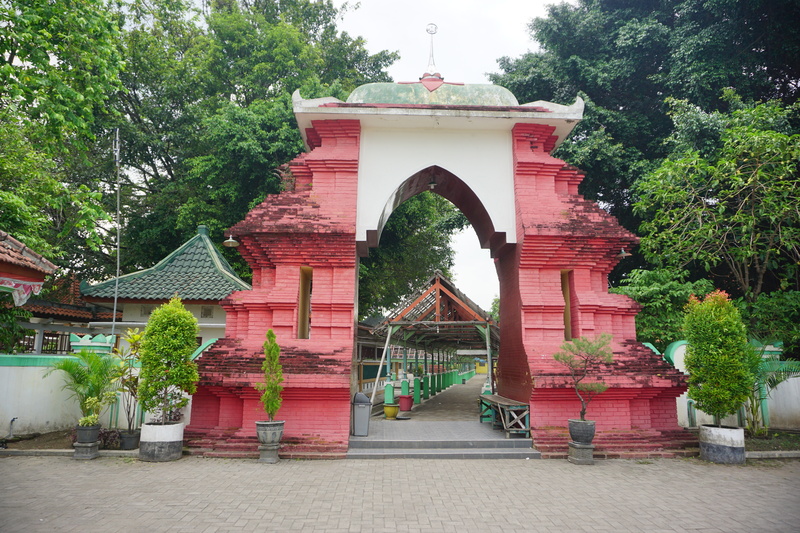 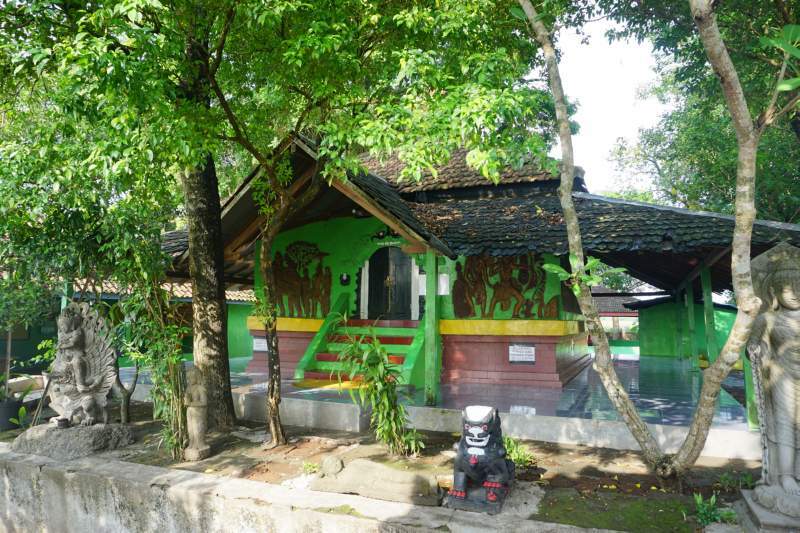 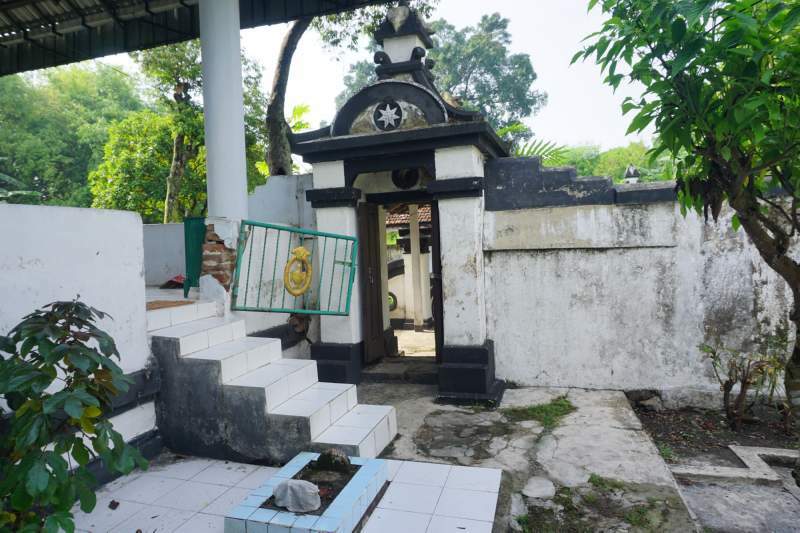 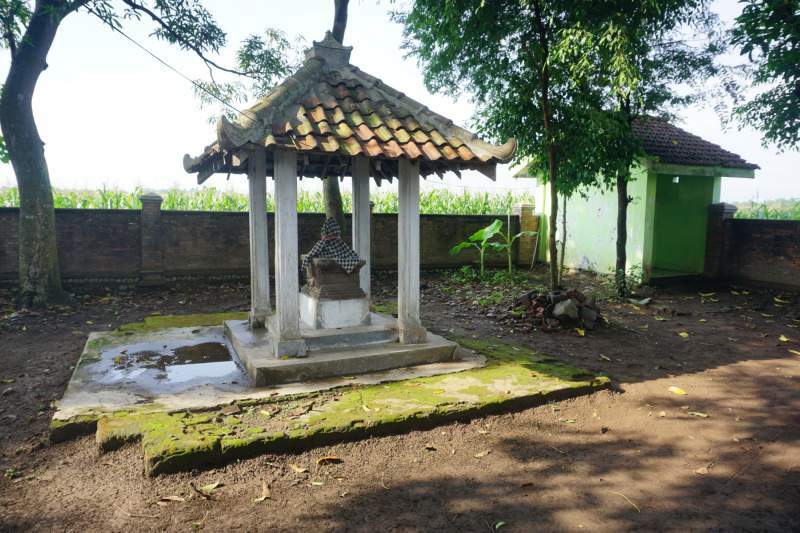 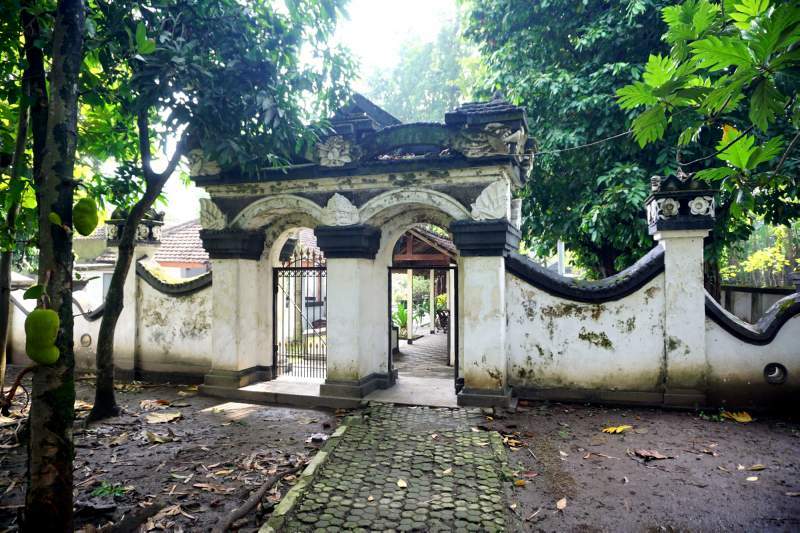 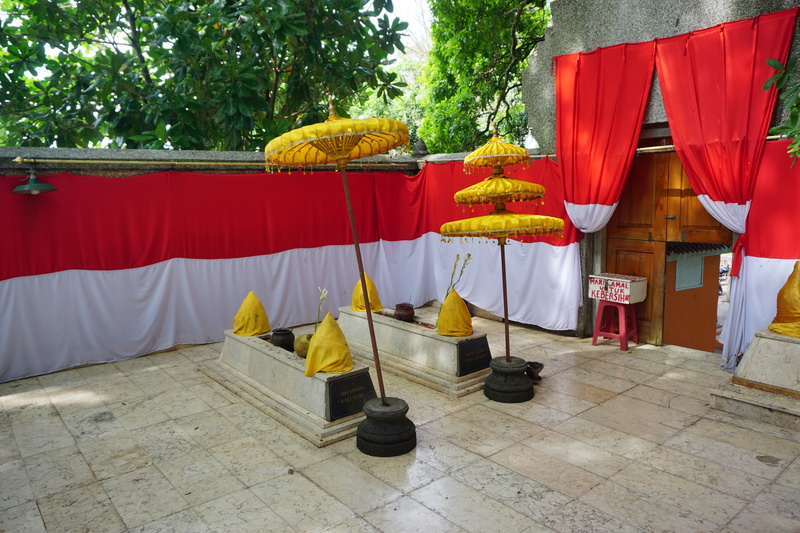 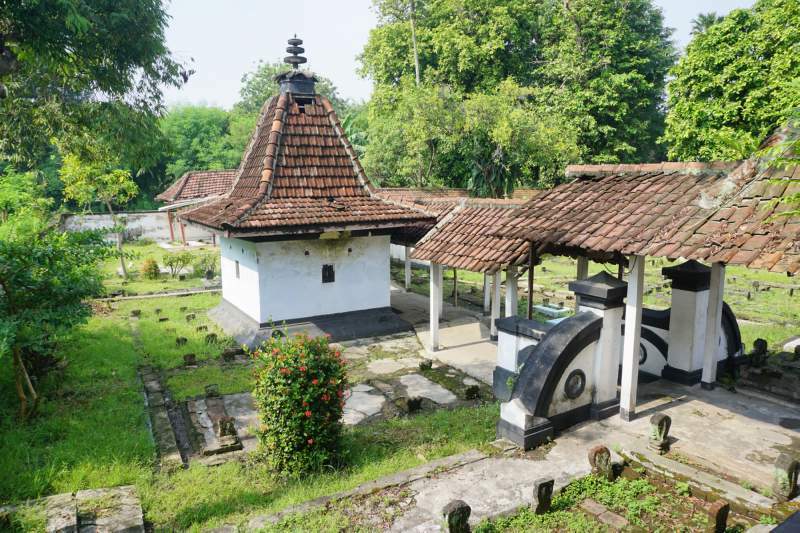 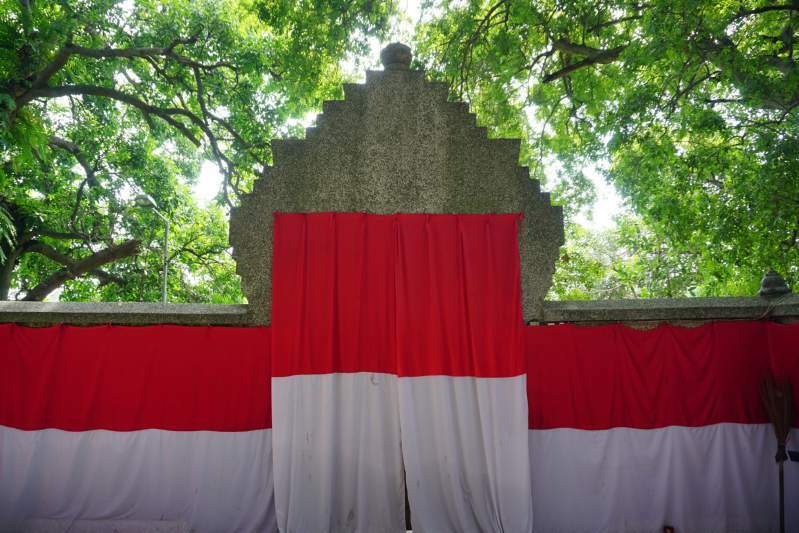 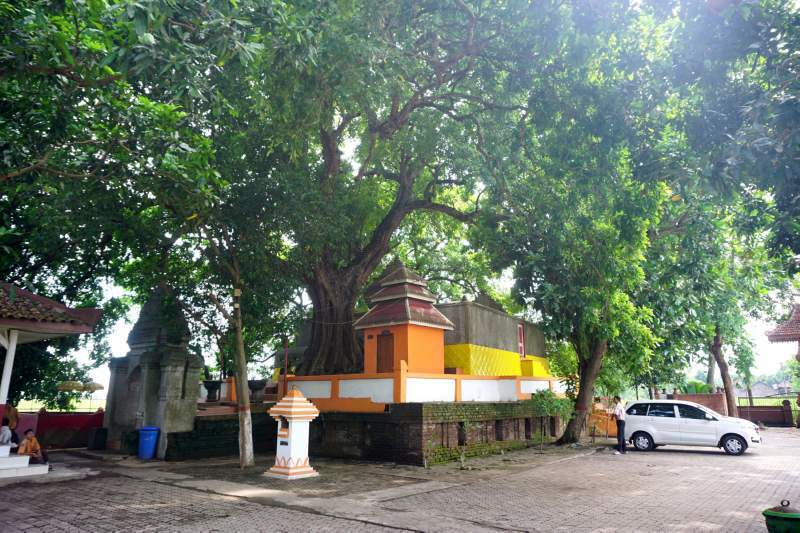 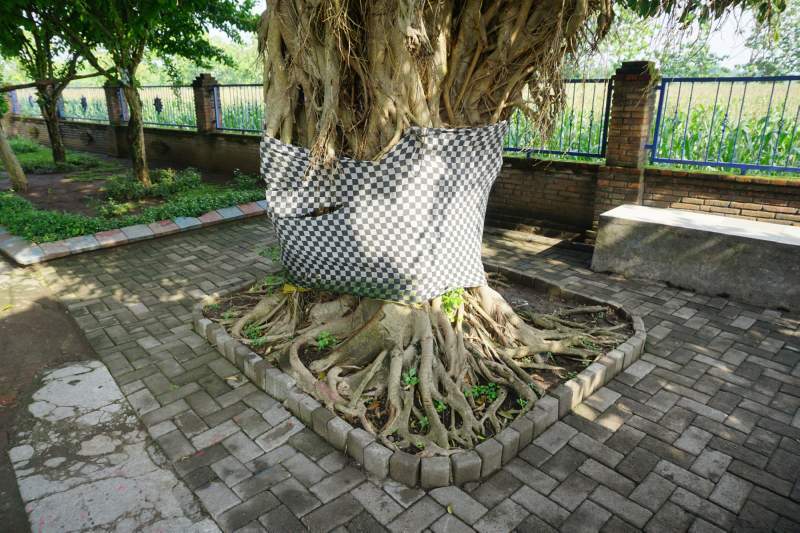 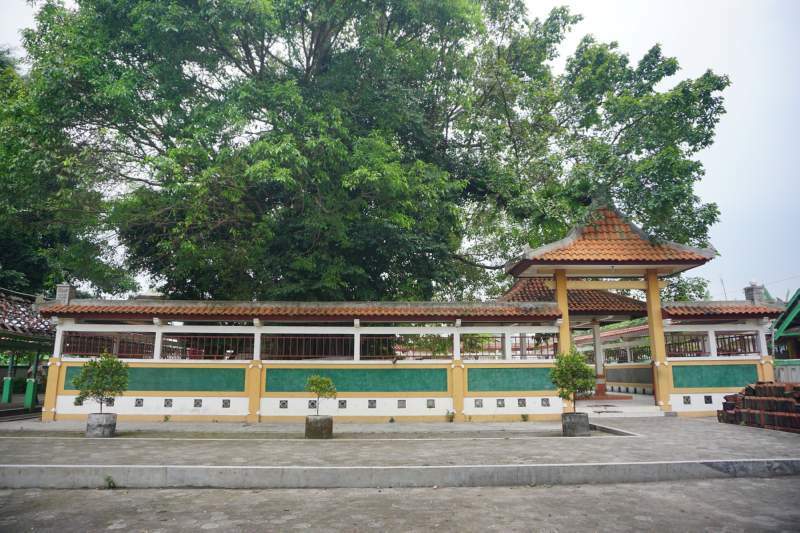 The first of the tombs we are featuring here is also one of the most important, as it houses the tomb of King Raden Wijaya, who was the founder of the Majapahit Kingdom who reigned from 1293–1309. 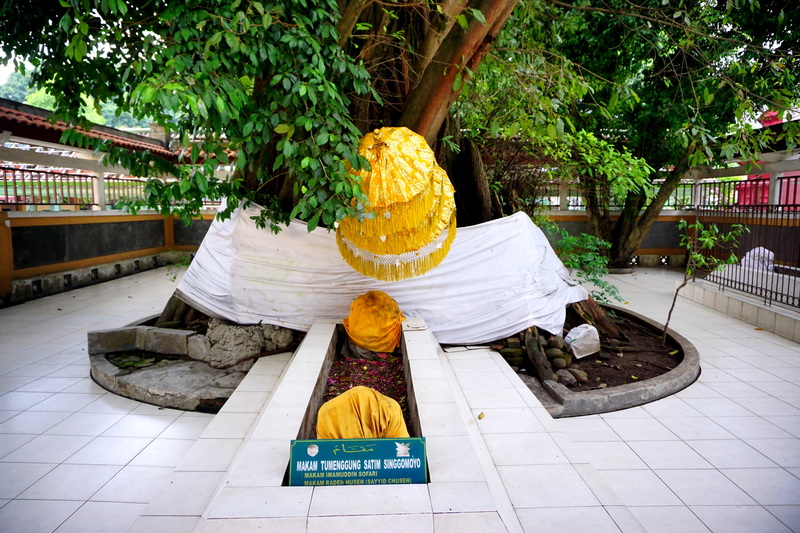 His period is notable for the victory over the forces of Kublai Khan, who had subdued virtually every other kingdom he attempted to. 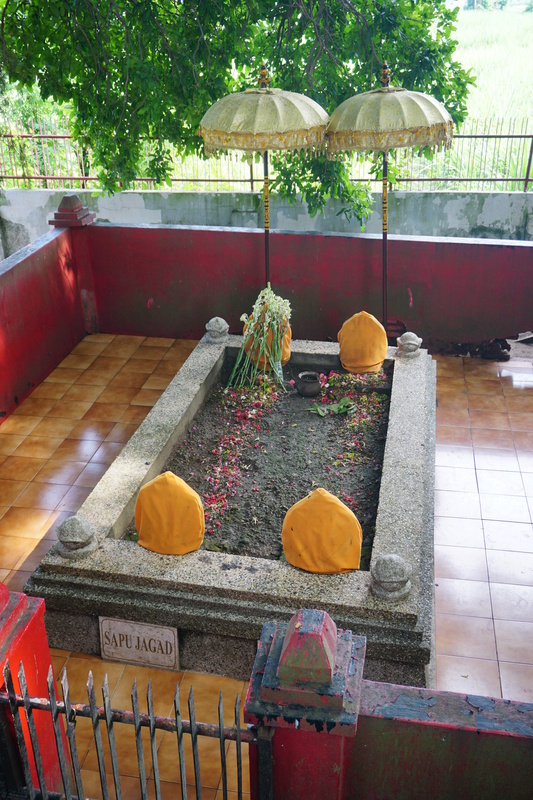 The King took two groups of siblings as wives, to ensure his legitamcy to the throne, and a number of them are buried with him in this quite modest tomb. 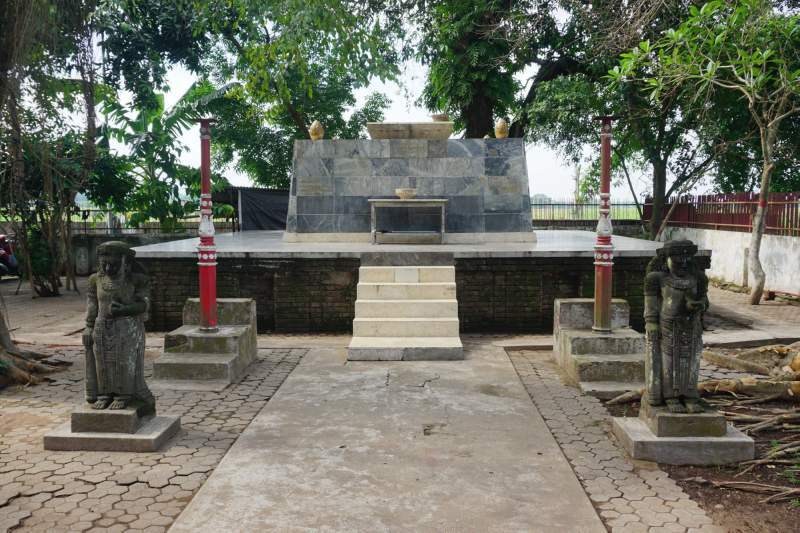 They include Gayatri Rajapatni, through whom his succession prevailed; and Dhoro (Dara) Pethak, who was brought to the court from Sumatra during the Pamalayu Expedition. 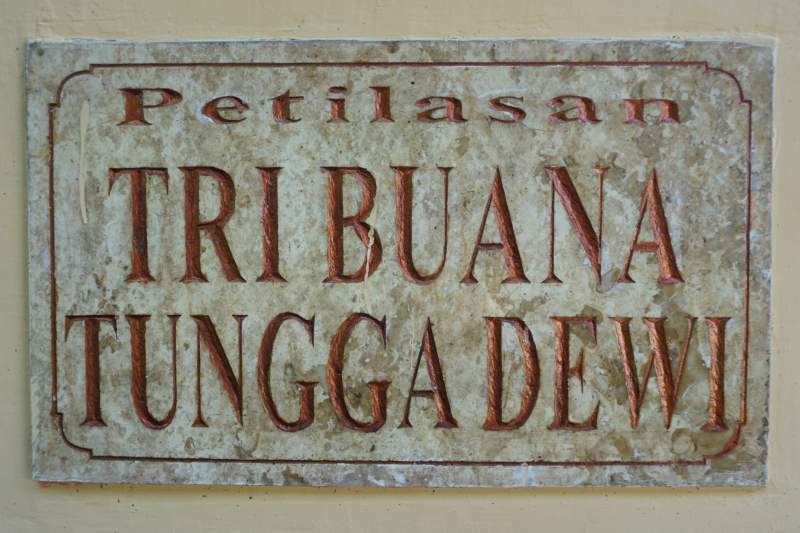 Tri Buana Tungga Dewi was the daughter of Raden Wijaya, through Gayatri, and the third ruler of the Majapahit Kingdom, after her brother passed away. 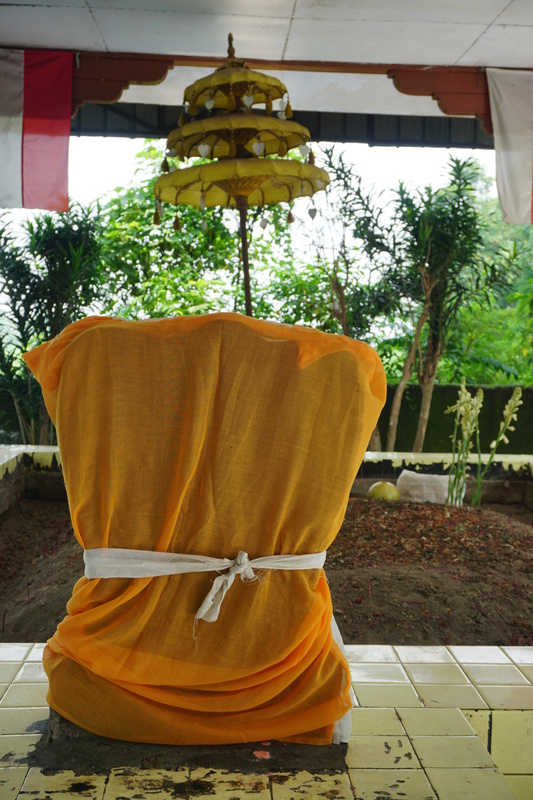 By the time of her ascension to the throne her mother was a Buddhist nun, and it is speculated that Gayatri ruled by proxy through her daughter. 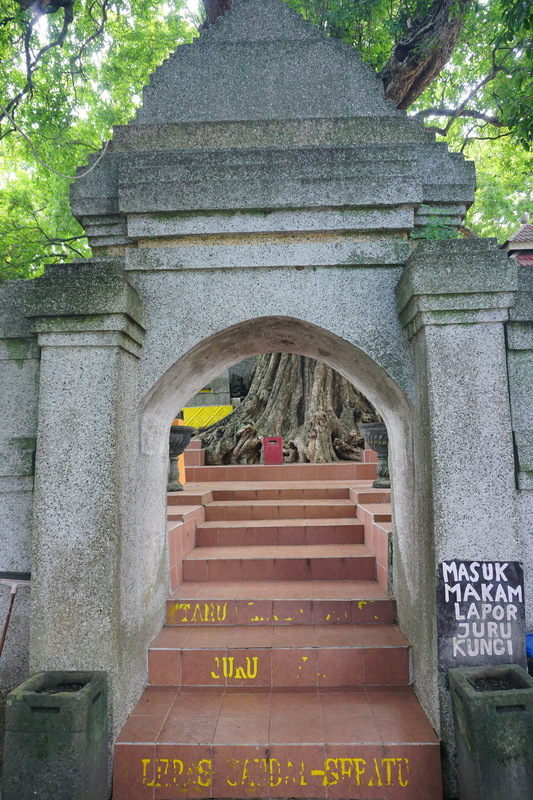 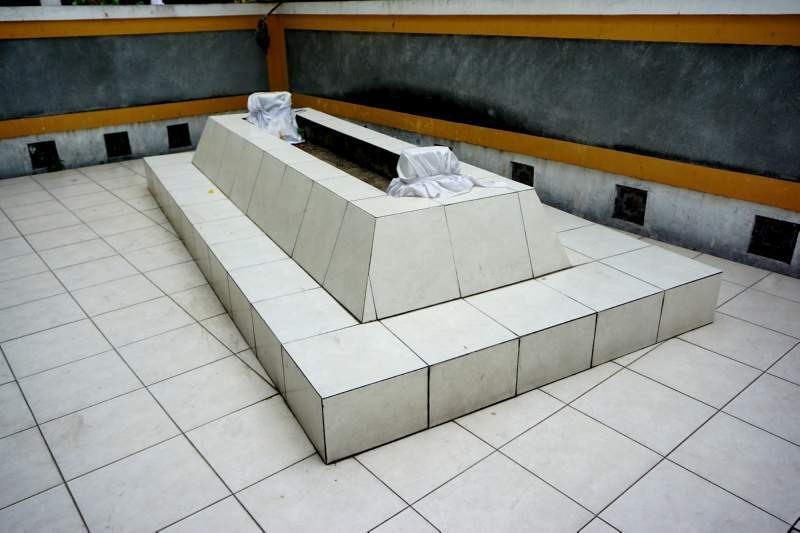 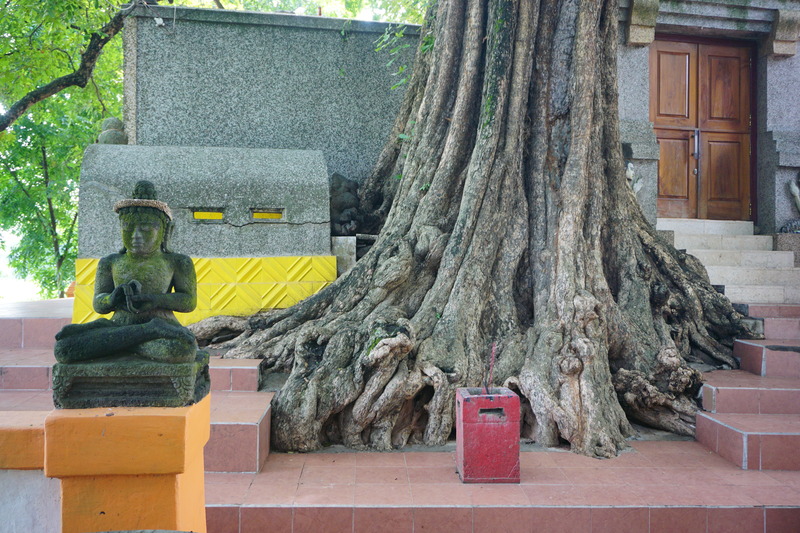 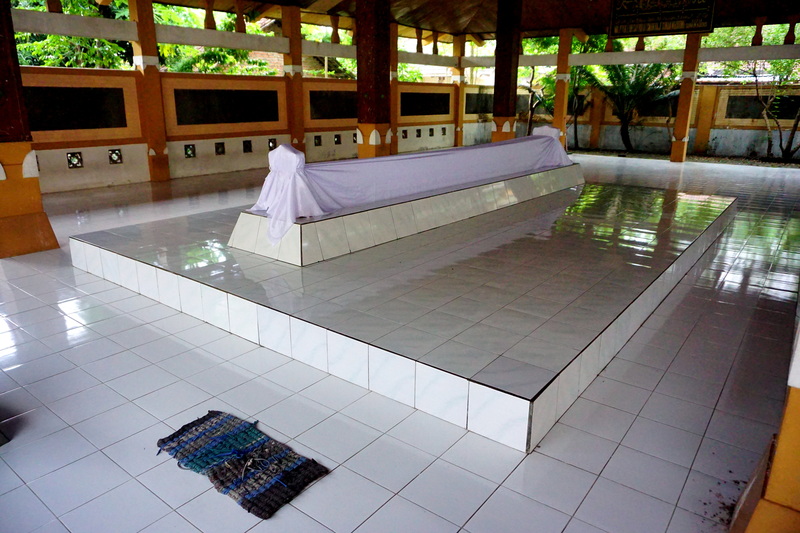 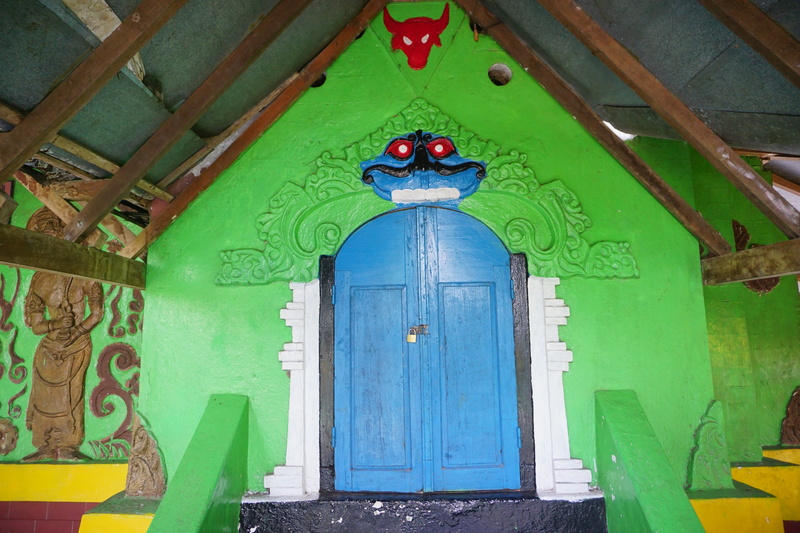 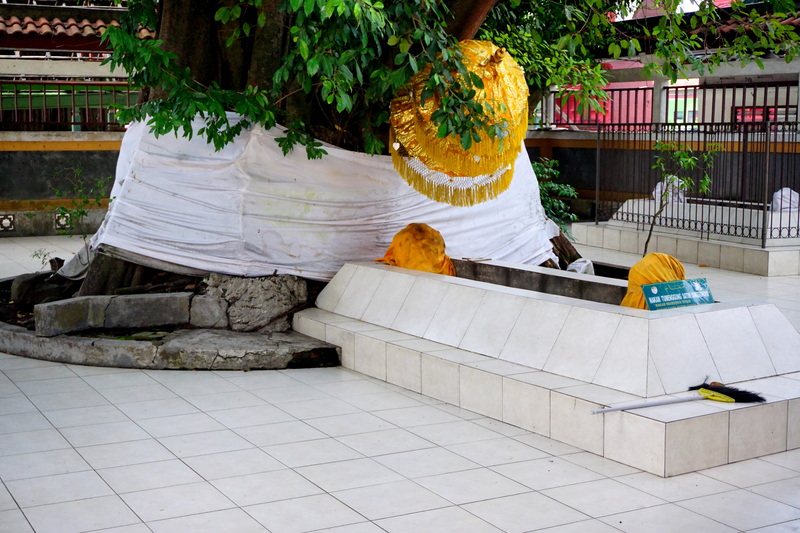 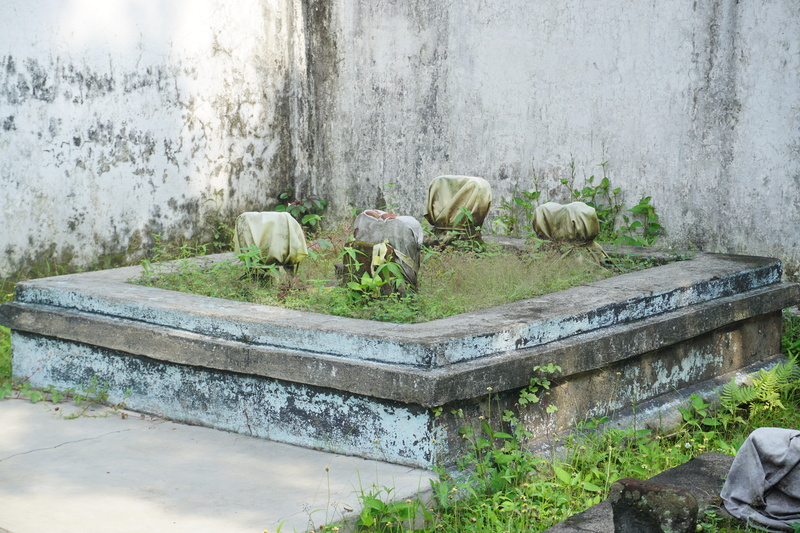 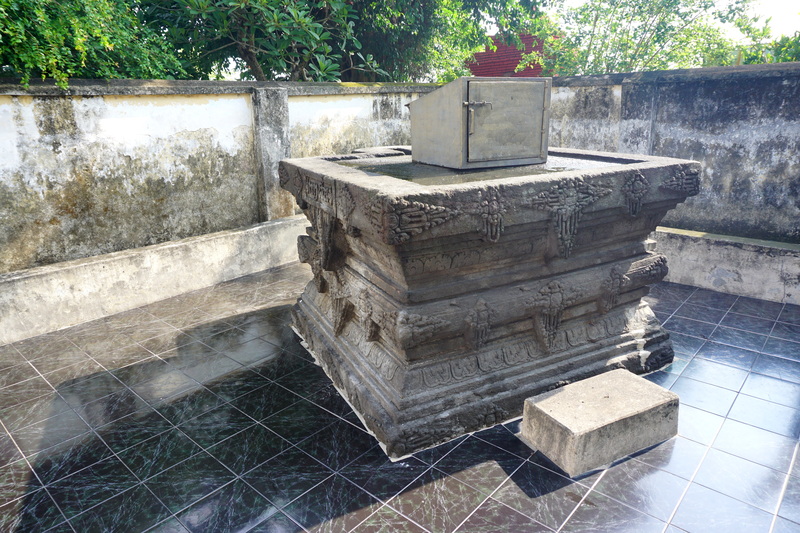 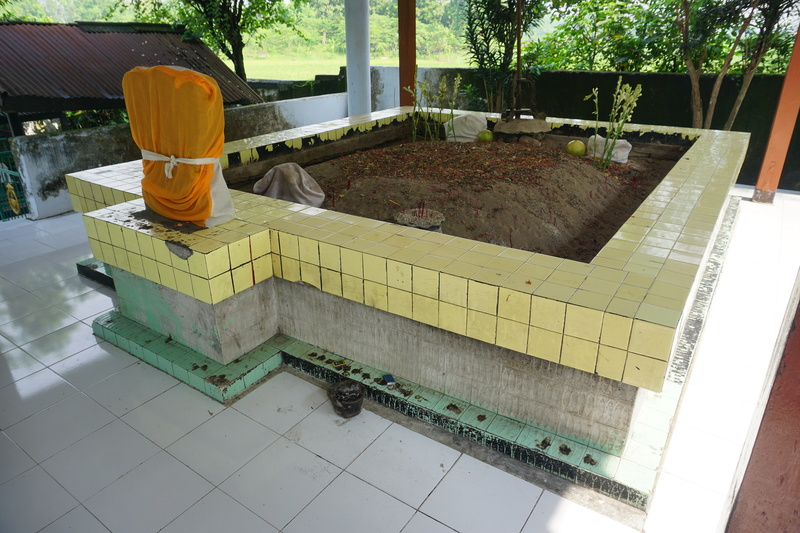 Tungga Dewi was also the mother of Hayum Wuruk, whose tomb features below. 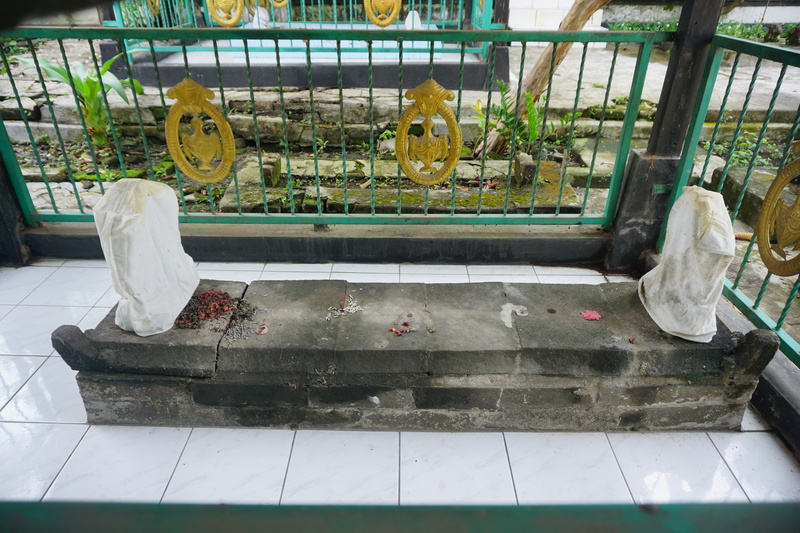 She ruled the Kingdom from 1328-1350. 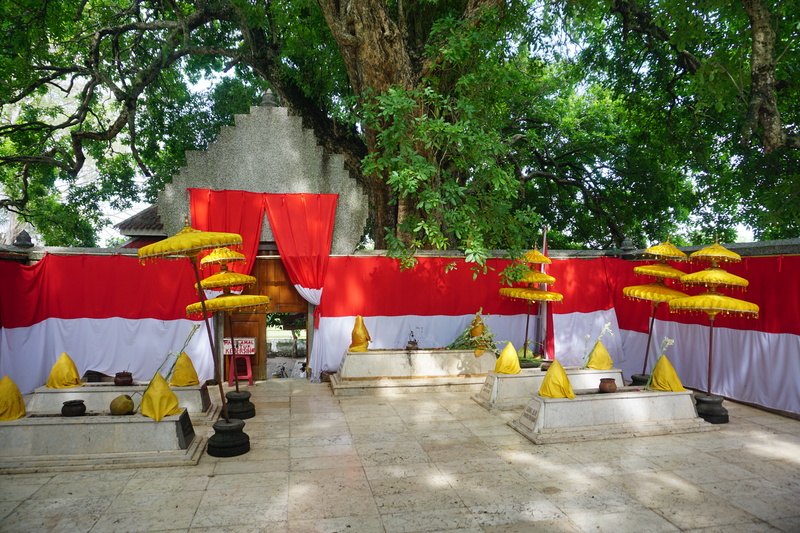 During her reign the Kingdom expanded greatly, and came to incorporate Bali as well as other previously independent Kingdoms in the area. 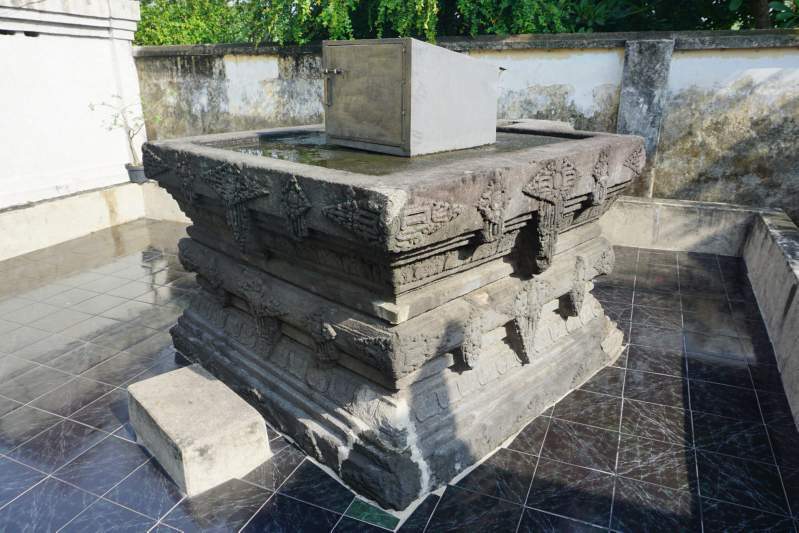 The greatest of the Majapahit Kings was the grandson of Raden Wijaya, Hayum Wuruk, who reigned from 1350-1389. 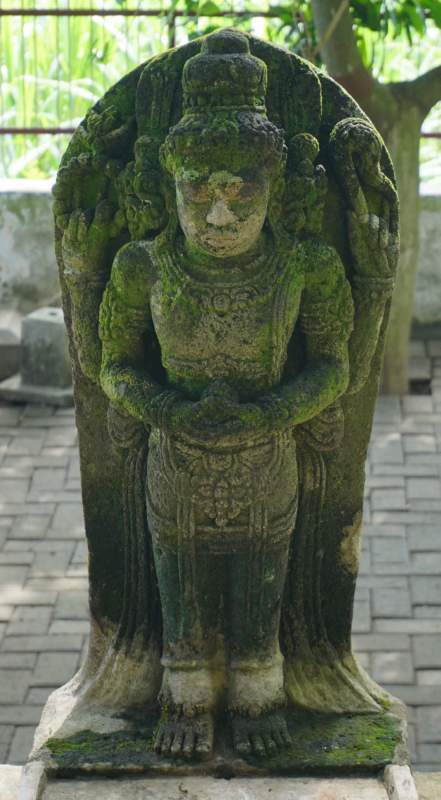 It was during this king's time that the empire reached its greatest extent. 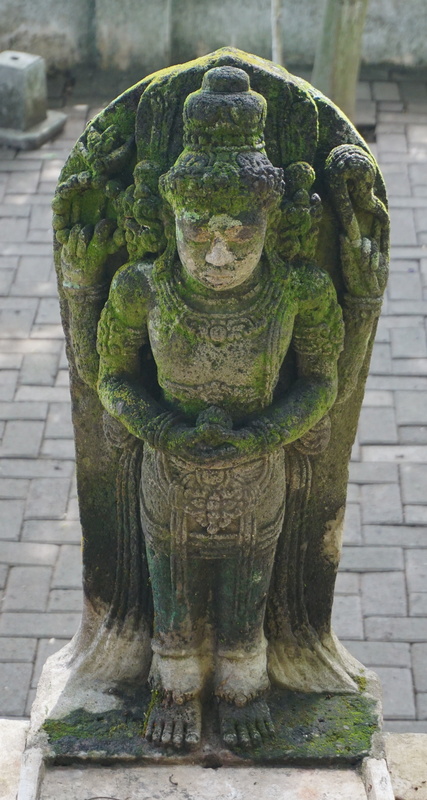 He is the central figure and hero of the Nagarakretagama, which describes life at the court and religious life of the times, including the King’s visits to many temples, featured elsewhere in this website. 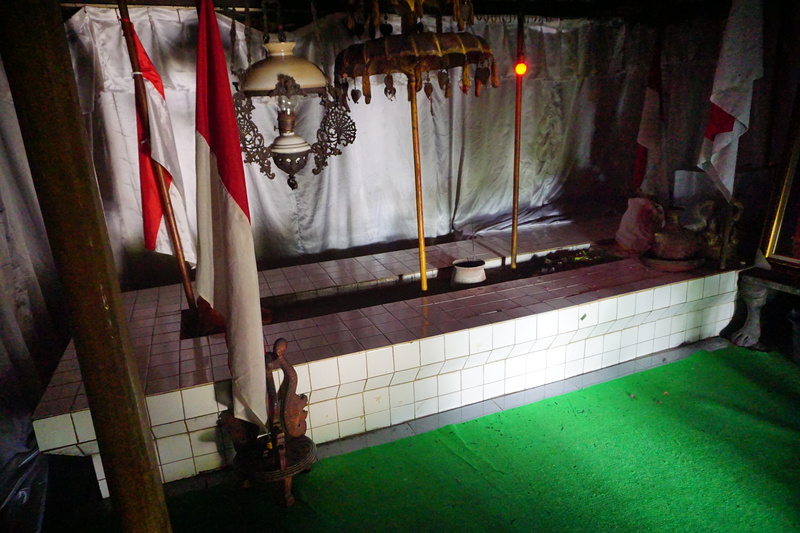 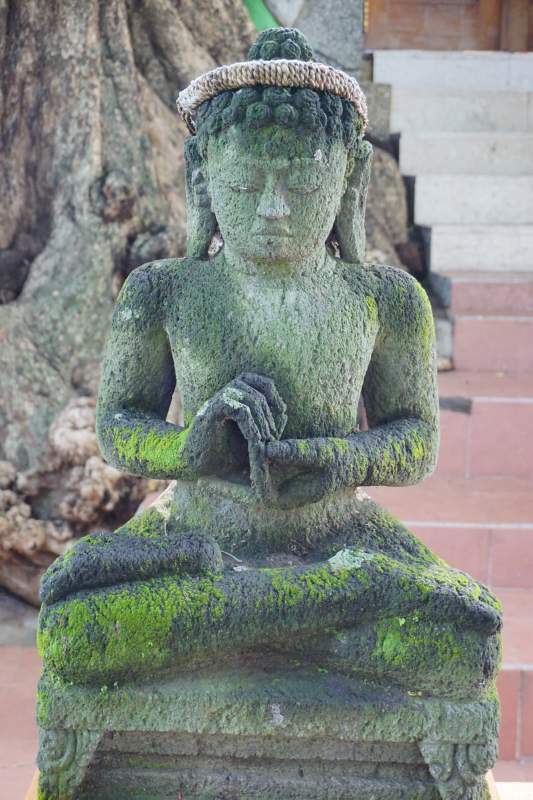 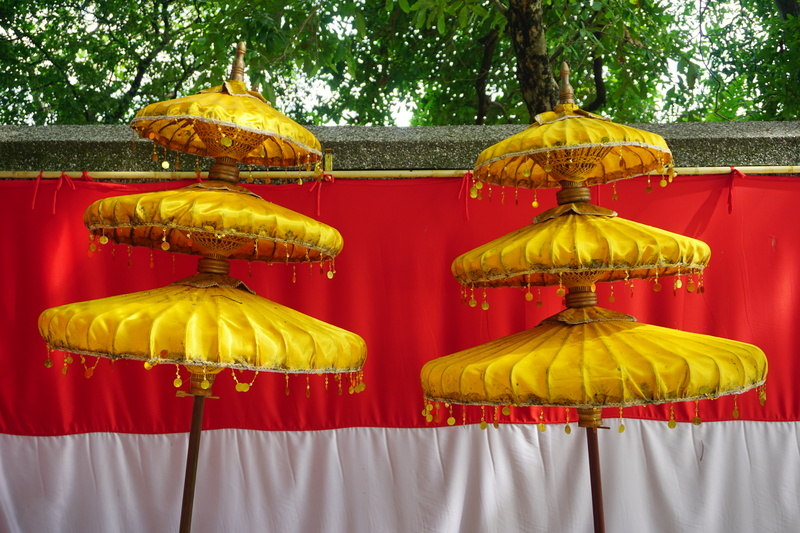 The Petilasan featured here are still objects of pilgrimage to this day, and are also used as places for meditation, and help very much to keep alive the memory and culture of the Kingdoms in contemporary society. 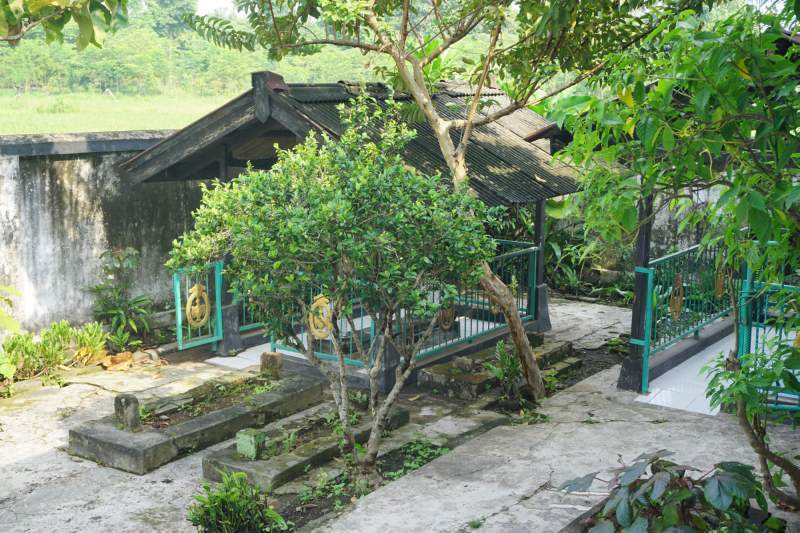 It is believed by the locals that the tomb here contains the ashes of this great King. 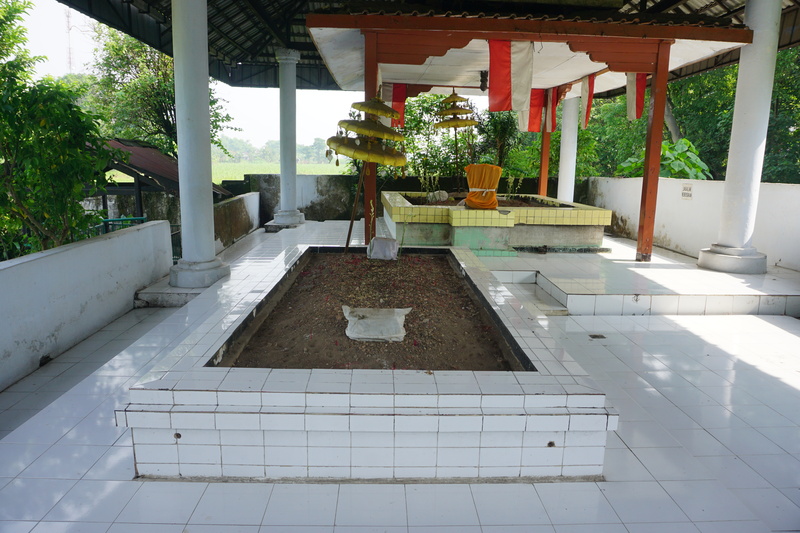 The last King of Majapahit was King Prabu Brawijaya V. He brought a wife from Champa (modern day south Vietnam), and she was instrumental in the King's conversion to Islam. 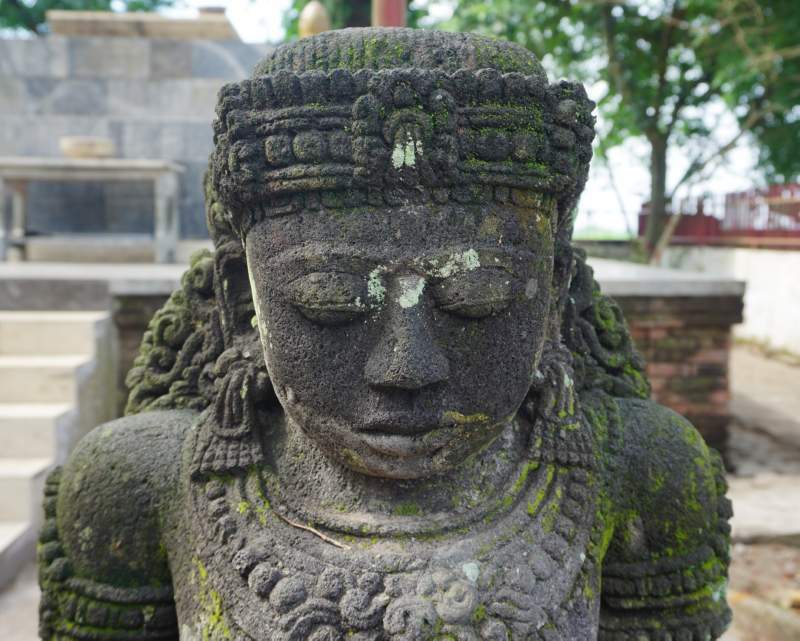 She is therefore considered a pivotal figure in the development of Javan hisotry. 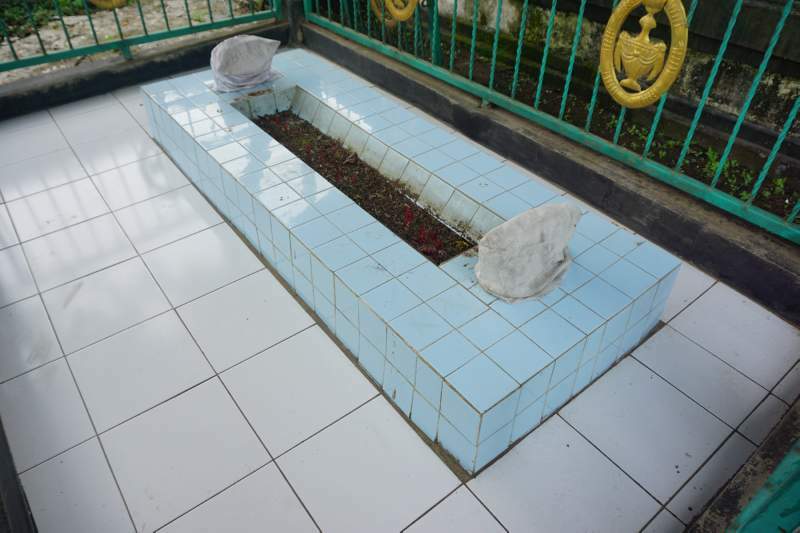 Her tomb, and that of many others, are still very much a pilgrimage site for Muslims, who gatehr here in numbers on certain days. 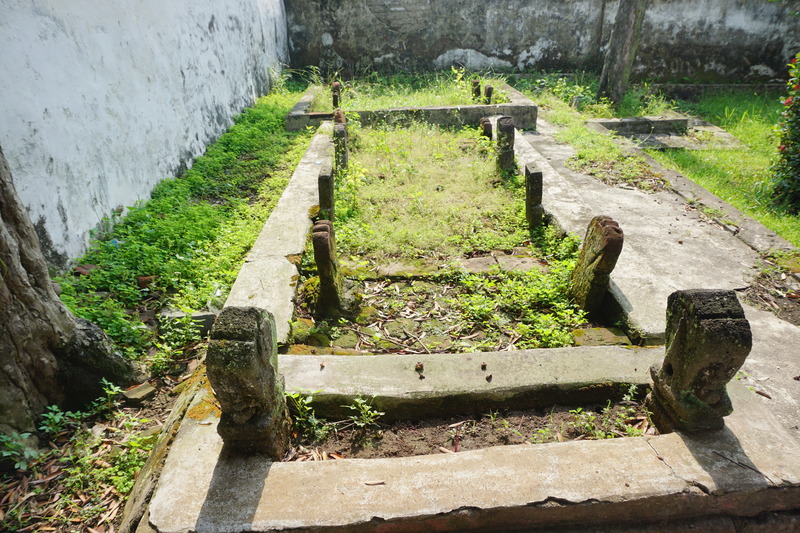 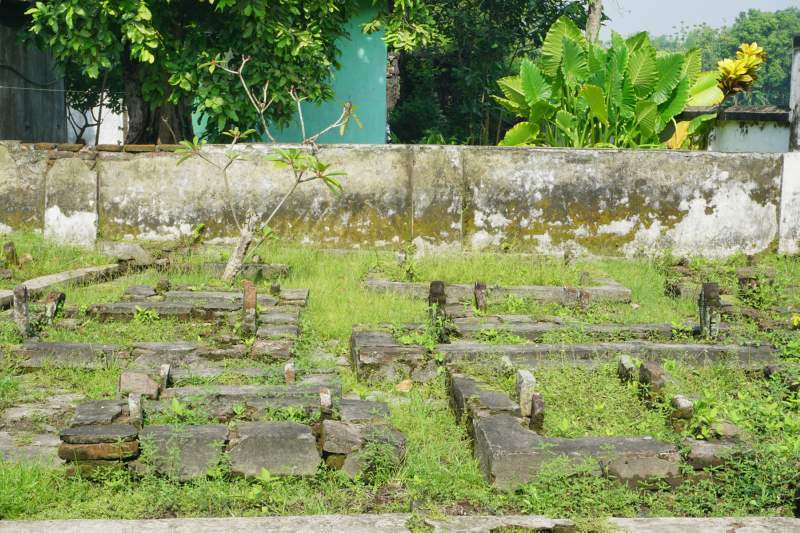 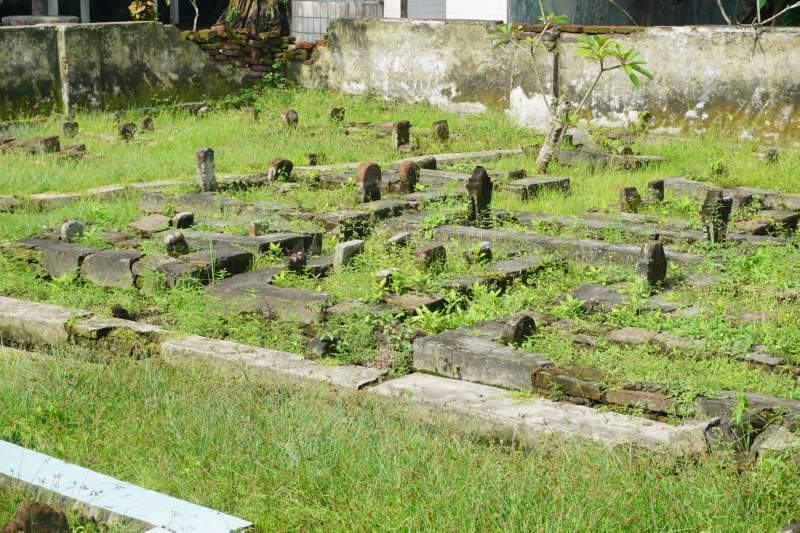 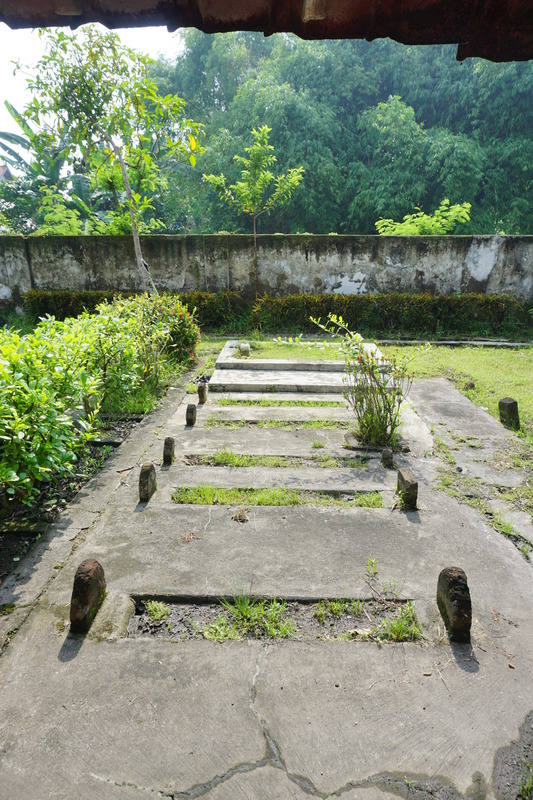 This is an Islamic graveyard, with tombs dating from the 14th century, during Hayum Wuruk's period, to the 16th century, by which time Majapahit had fallen and Islam was successfully established in its wake. 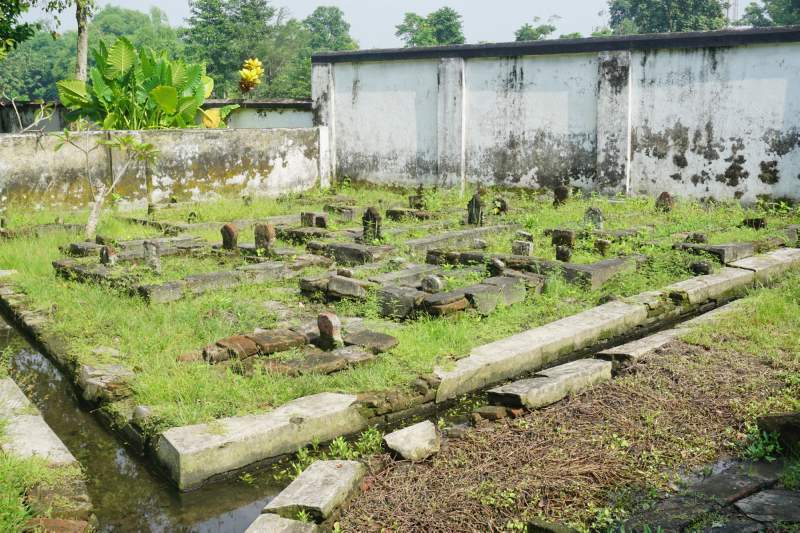 The complex itself is divided into two sections, the front section contains the tombs of seven great saints; and a back section which has a miscellany of important tombs. 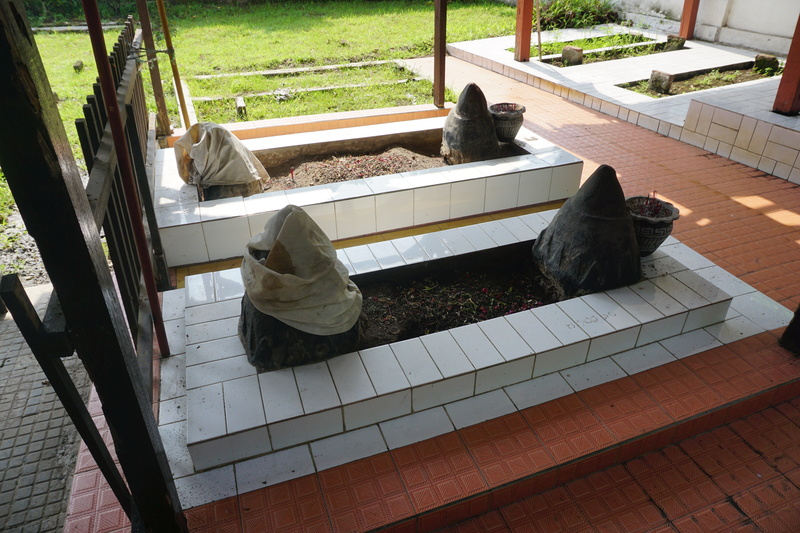 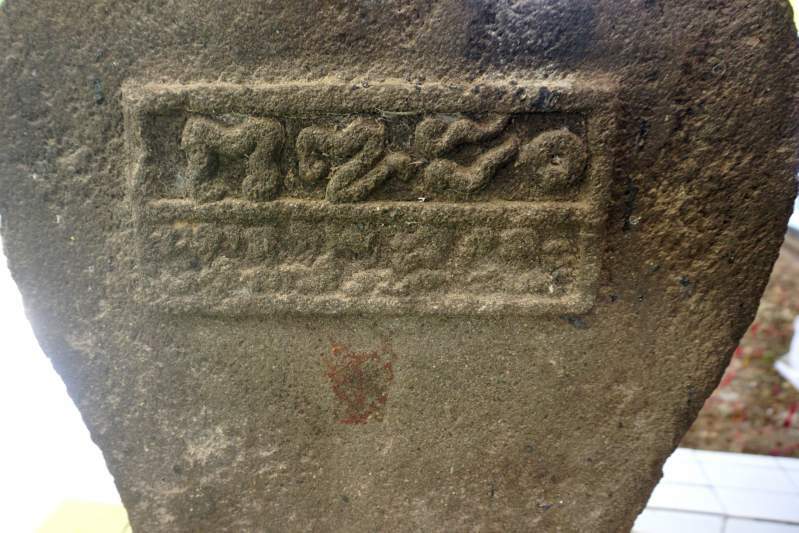 The thing to notice is the continuity of tomb structure from the earliest period to the latest. 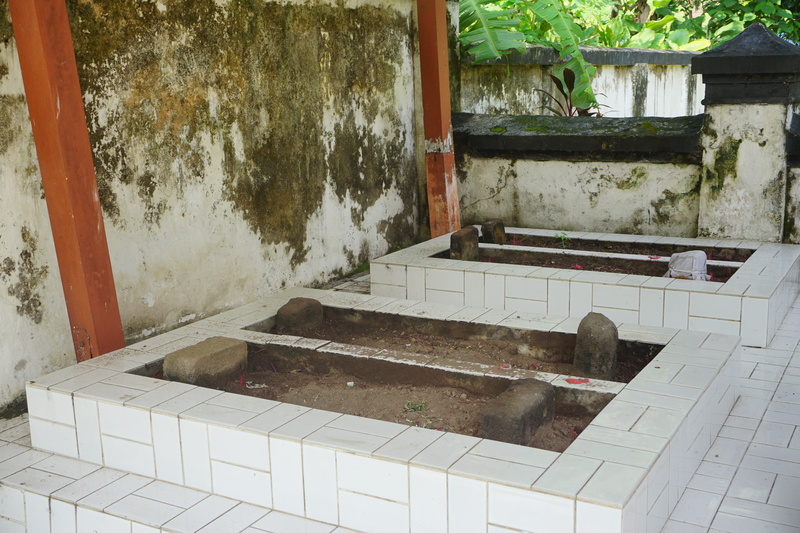 Even though some of them were great rulers over large empires, their tombs were simple and humble.